This book explores the intersubjective nature of disgust, the fascination that often accompanies it – along with repulsion – and the ethical implications of the experience. With attention to what emotions do rather than what they necessarily are, it examines the ways in which disgust works to create structures of meaning about selfhood, interpersonal relationships, and the worlds we inhabit. 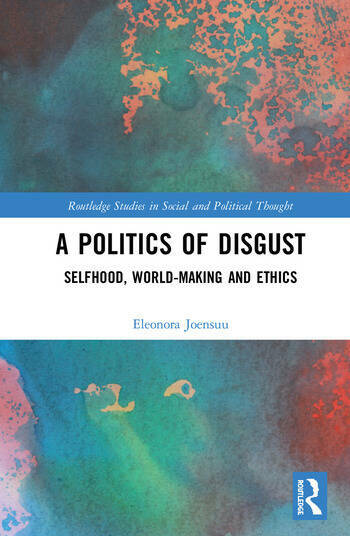 Offering a critique of existing approaches to disgust, the author advances a feminist intersubjective perspective, drawing on the work of Jessica Benjamin to understand the relational aspects of disgust encounters. Thus, the focus is not on defining disgust definitively, nor debating what objects invoke disgust, nor on whether it is a universal experience, but on the effects of disgust once invoked, what the experience does and the impact it has. Through a case study of incarceration and death by self-inflicted strangulation – a death that was later ruled a homicide – this volume sheds light on the nature of the ethical demands of disgust and its nature as an active struggle for recognition. As such, A Politics of Disgust will appeal to scholars of gender studies, social theory and philosophy with interests in the emotions and intersubjectivity. Eleonora Joensuu teaches in the areas of educational philosophy and theory, educational reflective practice, and writing at Simon Fraser University, Canada. She holds a PhD in Philosophy of Education from Simon Fraser University. Her current research is focused on the development of therapeutic interventions for intersubjective disgust encounters.